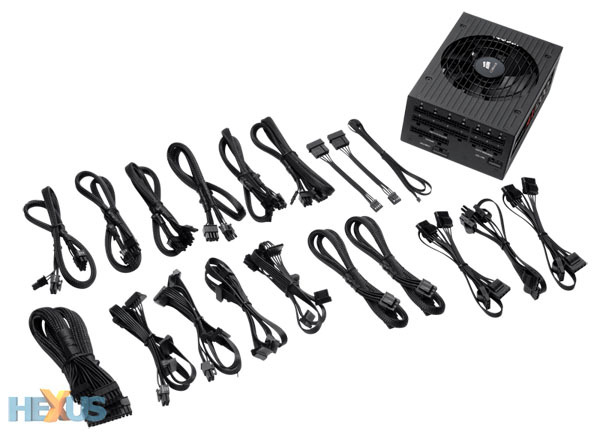 Corsair is releasing power-supply units (PSUs) thick and fast just now. We took a look at the gamer-orientated GS800 V2 just the other week, followed by evaluation of the HX850 V2 a short while ago. These two high-quality PSUs were just the aperitif, as the meaty main course arrives in the form of an all-new supply today. It makes sense for Corsair to refresh its enthusiast PSUs in one fell swoop. The original AX-series, released two years ago, remains a consummate performer but can't quite match the specifications being laid down by an influx of 80 PLUS Platinum supplies we've seen crop up in 2012. 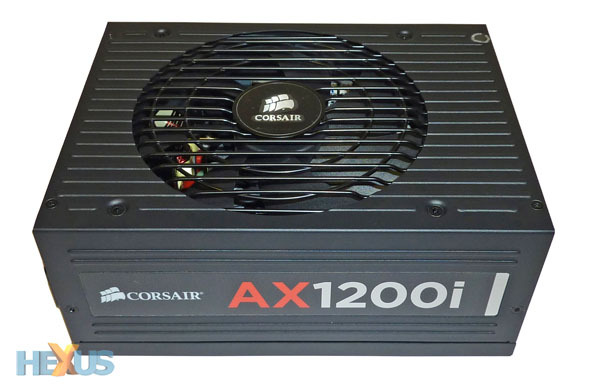 Rather than re-release the top-end AX with a very minor specification bump, Corsair is looking to unleash a serious contender for best PSU in the business. Say hi to the AX1200i Digital. 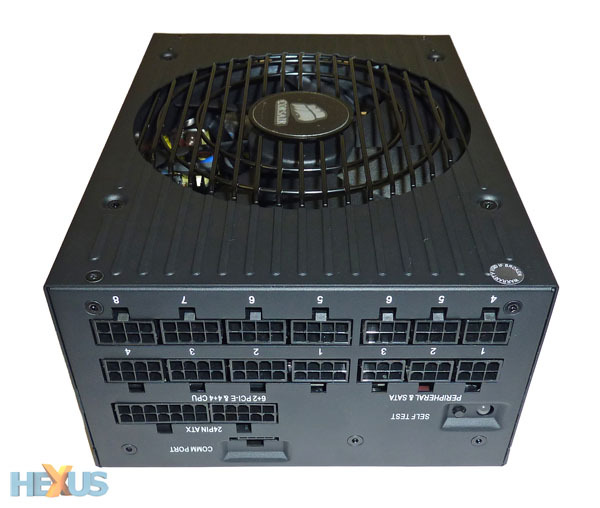 Looking similar to the same-wattage AX variant by measuring in with identical 200mm x 150mm x 86 mm (WxDxH) dimensions and outfitted with an also-identical 140mm fan, you may wonder what all the fuss is about. 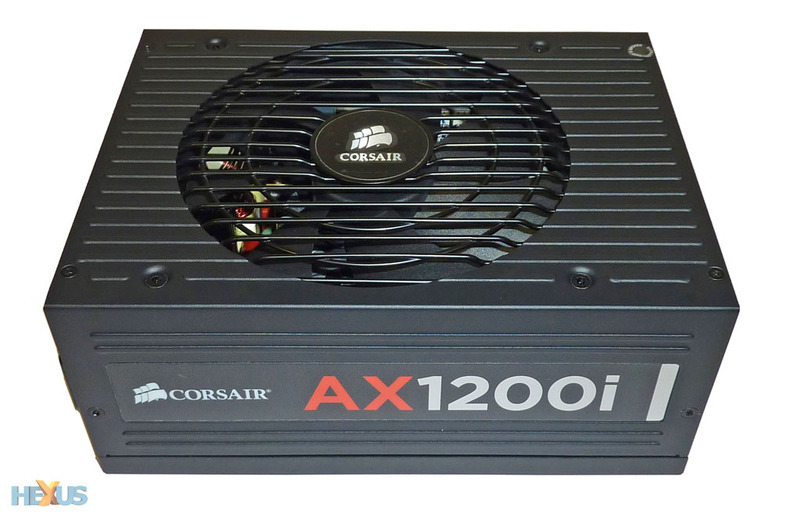 The AX1200i's first real improvement is available through a perusal of its specifications. Whereas the incumbent is rated at 80 PLUS Gold, meaning it is at least 90 per cent efficient with a 50 per cent load (tested with a 115V AC source), this supply inches that up to 80 PLUS Platinum, where it's at least 92 per cent efficient in the same test. But what's a couple of per cent between AX-series stable-mates, right? Flip it around and the fully-modular setup is sensibly carried over to the 'i'. This upside-down view shows that none of upper cable connectors have changed - we'll get onto the cabling in a second - but take a look at the 'COMM' port at the bottom; it's designed to feed a glut of data over to the PC via Corsair's LINK system-monitoring software, and Corsair includes the necessary USB-connected LINK header in the voluminous package. Another difference rests with the self-test button, new on this model, which confirms the PSU is running to specification; you see a green light if everything's working just as it should. Cabling is practically identical to the AX1200's, too, and that is no bad thing at all. A total of 16 SATA, 12 Molex, two (8-pin) CPU, and six (6+2-pin) separate PCIe are more than plenty for any semi-insane build. Fully-modular connections enable the user to hook-up whatever they wish, leading to a clean build, but all cables can be connected concurrently without issue. Eagle-eyed readers will probably spot the extra LINK cable on the right-hand side of the above picture. Cabling, once again, is top notch.